Lithium-ion battery provides maximum power.• Delivers over 1 hour of runtime on a single charge - 2x longer than other shavers• Lightweight - less than 5 ounces.• Powerful and quiet rotary motor. • Gold titanium hypo-allergenic foil for irritation-free shaving. This feather-light shaver weighs less than 5 ounces and is perfect for finishing fades and removing stubble. 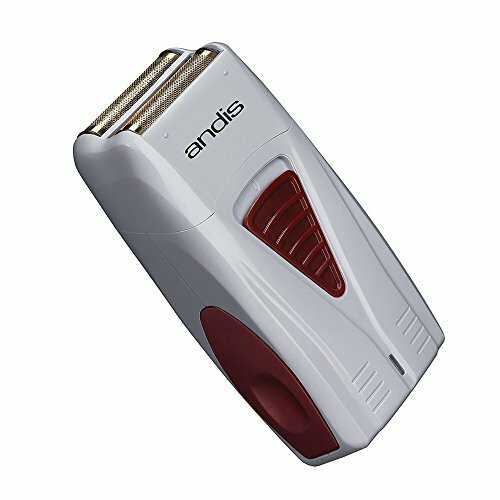 Its powerful, lithium-ion battery delivers over 1 hour of run time on a single charge ­ 2 times longer than other shavers. Twin, gold titanium hypo-allergenic foils deliver irritation-free shaving for men prone to razor bumps.